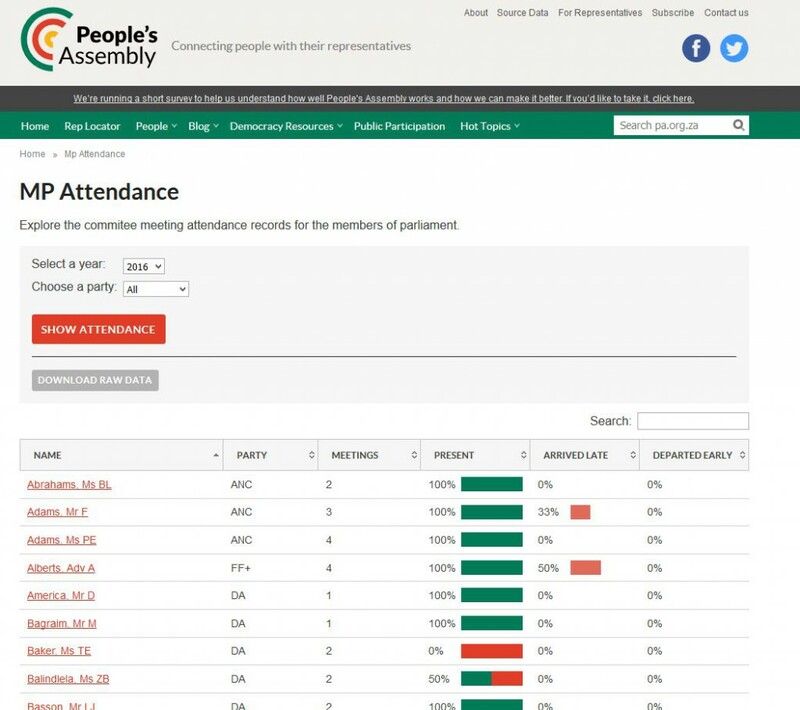 South African parliamentary monitoring website People’s Assembly have added an Attendance page, allowing citizens to see at a glance what percentage of committee meetings each MP has attended. A few weeks ago, we highlighted one major difference between the Ghanaian parliament and our own: in Ghana, they register MPs’ attendance. This week, we received news of another of our partners who are holding their representatives to account on the matter of attendance: People’s Assembly, whose website runs on our Pombola platform. The new page was contributed by Code4SA, who have been doing some really valuable work on the site lately. According to South Africa’s Daily Maverick, in some cases MPs’ attendance is abysmally low. There’s also a history of those who “arrive, sign the register and leave a short while later”, a practice that may soon be on the decline thanks to People’s Assembly’s inclusion of data on late arrivals and early departures. With 57 representatives — or about 15% — floundering at a zero rate of attendance, it seems that this simple but powerful display is a much-needed resource for the citizens of South Africa. See it in action here. There are quite a few people around the world who are interested in running websites like FixMyStreet.com , TheyWorkForYou.com and WhatDoTheyKnow.com in their own countries. This high level of interest is why we have set up DIY mySociety – to make it an easier to get started running your own similar sites. One of the most common barriers to launching a new website is the lack of technology skills. This post is about finding those skills in your city, country or region. You don’t have to be a web developer to run a website based on mySociety code, but you do need access to someone with developer skills if you’re going to launch your own successful site. When people are thinking about setting up a new mySociety-style website, they often assume that it can’t be done, because they aren’t technical, and they don’t know anyone who is. Even if you’re not a coder, you might still be the right person (or group of people) to run this project. Are you good at motivating people, communicating, and organising? 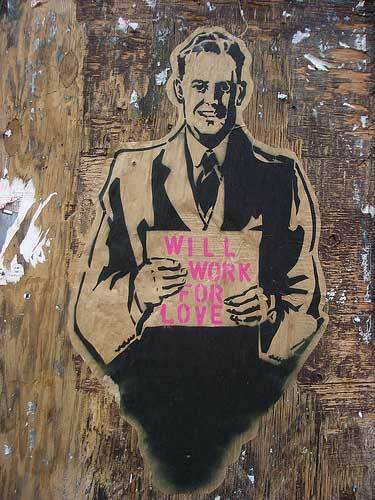 Then you have invaluable skills for this kind of enterprise. But that doesn’t remove the need for technical skills. Why do you need a web developer? You need a developer because it takes specialist skills to set up a website based on mySociety’s software. Our software helps by saving developers months or years of work that they would have to do if starting from scratch. But it does not eliminate all the technical work – you will still need someone who knows how to build websites. You will need a developer to work on the project not only at the start, but for regular maintenance and improvements once it’s up and running. What are my options for getting a developer to help? If you are not a developer yourself, you have three basic choices for getting hold of some help. Obviously the third of these options looks the most attractive, but please be aware that when you are asking somone to volunteer on a website like this you are asking them to work for days and weeks for free – this is not a question of helping our for an hour or two once a week. Working with an individual vs a company is also a decision. An individual will normally charge less per day worked, but an agency may reduce your risk of hiring someone who just can’t do the work at all. It is a balance. If you find someone who you think might be good, but you’re not sure, please don’t hesitate to ask mySociety for help in deciding. What are you looking for in a web developer? 1. Check that they care about using the internet to help with democracy or transparency. If they are excited then they are more likely to stick with the project, and make it succeed. Do not assume that just because they know about computers, they do not care about the rest of the world! 2. Ask them to show you some kind of website or mobile app that they build entirely or mostly on their own. If they can’t show you anything then that might cause you concern. If they have something good, that’s a good sign. 3. If they really keen to win your business or volunteer, they might be willing to try setting up a basic version of the website before you start working together. If they can do this then that’s a pretty good sign that they might be the right person to help you in the longer run. 4. If they tell you “there’s no need to re-use mySociety’s software – I can build this new website from scratch more easily”, this is a bad sign. Less good web developers often underestimate how hard it is to build a website like mySociety runs, and saying this is a common give-away that you are talking to someone who might not be very likely to succeed in launching your website. Where on earth can I find someone? Whether they are being paid or are volunteering, the question remains: where do you find such people? The answers might surprise you – it’s not as simple as ‘put an advert in the newspaper’. Linux User Groups are found in many countries around the world, and often contain people interested in working on interesting projects. OpenStreetMap is a global map that is made by normal people who live around the world. It has many local branches, and can also be a good place to mail or meet to find local people to talk to. Digital democracy and transparency mailing lists are email discussion forums for people with common interests. Developers often join mailing lists that deal with their areas of expertise or passions, so emailing a message to see if people are interested in working with you is a good way of reaching out quickly to people who are interested in the same kinds of projects as you are. Transparency Tech Google Group – for anyone using technology to aid transparency. Open Government mailing list – for those interested in open government data. DoWire.org – international exchange on e-democracy and online news. Sunlight Labs – for software developers interested in open government, government transparency, and civic hacking. Alaveteli mailing list – for those interested in starting a Right-to-Know website. FixMyStreet mailing list – for those interested in starting a street problem-reporting website. mySociety Community – our general mailing list. The Open Knowledge Foundation is a network of regional groups which bring together people interested in open data, including developers. Joining your local group – or starting a new one – will help you meet people with common interests. You’ll find a list of all local groups at the foot of this page. BarCamps are workshop-style events, often focusing on web applications, open source technologies and open data – and are a great place to meet people with the skills you need. They happen all over the world – search for ‘barcamp‘ + the name of your city or region. If there are none near you, you can organise your own. CityCamps are a specific type of Barcamp. They bring together local government officials, municipal employees, experts, programmers, designers, citizens and journalists to share perspectives and insights about the cities in which they live. You can check whether there’s a city camp near you here – and if there isn’t, you can start one. If you try all the above approaches, and try to meet with local people from all these kinds of group where you live, it will not be long before you find some sympathetic people who may well be interested in your project. If you’re looking for developers or any other people to join your project, feel free to leave a comment at the end of this post – make sure you say where you are and what you’re hoping to achieve. 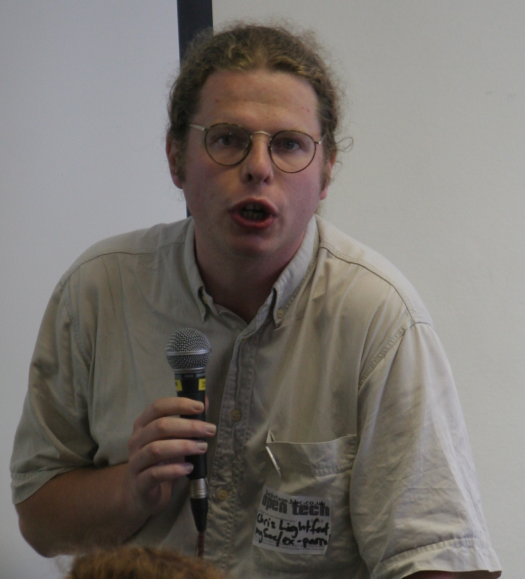 My friend and mySociety’s first developer Chris Lightfoot died five years ago today. He killed himself in his own flat for reasons that we will never really know, but which are doubtless linked to the depression which he’d been fighting for years. He was just 28, but had already achieved so much that The Times ran an obituary of him. He would have laughed mightily about the fact that this is now behind a paywall. To mark this occasion I wanted to write something for mySociety staff and volunteers who never knew Chris, and for a wider audience of people who work in places like GDS, Code For America or indeed anyone with an interest in politics and governance. What Chris represented is too important to be lost in the grief at his passing. The basic fact to understand about Chris was that he was a very specific kind of polymath – one perfectly suited to the internet age. What I mean by this is that he did much more than simply master varying disciplines: he saw and drew connections between fields. He wouldn’t just master cartographic principles, engage in politics and, as Francis Irving put it, ‘write Perl like other people write English’: he invariably saw the connections and mixed them up in meaningful and often pioneering ways. Moreover, this mixing of disciplines was conducted at a furious, restless pace, and knew absolutely no concept of ‘too hard’ – problems were either fundamentally impossible, or ‘trivially soluble’, to use one of his favourite and most gloriously under-stated phrases. Who else would build the technology to break a captcha, just to investigate what American truck rental costs tell us about internal migration in America, for fun? The answer is trivial. That he was a genius is not what I want you to understand. Telling you that someone you never met was smarter than you is not helpful, and doesn’t fulfil my promise to tell you why understanding Chris matters. What is fundamentally valuable about Chris’ legacy (besides piles of code that power services still running today) is that his story signals how we all need to change our conception of what it means to be ‘wise enough to rule’. Let me explain. Again, I am not telling you this to make you feel stupid: what matters is what he chose to do with this gift. What he chose to do was built an ever-expanding palette of skills from which he could paint as he pleased. And what he chose to paint was a vision of a better, saner world. This painting ranged across a huge expanse of topics and disciplines: nuclear engineering, political ideologies, constitutional law, military history, statistics, psephology, economics, security engineering, behavioural psychology, propaganda, intellectual propery law and more. His favourite brushes were Perl and a blog composed of prose so sharp and funny that George Bernard Shaw would not have been displeased by the comparison. I still wish I could write half as well as him. What I want to communicate most is this: the disciplines he chose to study form a combined19th, 20th and 21st century curriculum of skills required by modern leaders, both leaders of political organisations and government bureaucracies. Chris’s life was the invention of a massively expanded, far more up to date version of the traditional Politics, Philosophy and Economics course that this country still uses to educate its elites. Some of these disciplines are timeless, like the understanding of ideologies or economics. Some represent vital new issues that emerged in the 20th century, like nuclear energy and world-scale warfare. But mixed in there are wholly new, alien group of skills that the recent SOPA, Wikileaks and ID cards debacles show that modern leaders haven’t got anywhere near to internalising: they include knowledge about security engineering, intellectual property and how new technologies clash with old laws and ideologies. They are skills that nobody used to think were political, but which are now centre stage in a polity that can’t keep up. This doesn’t mean Chris would have made a perfect leader: I used to argue with him a lot about how he weighed up the costs and benefits of different issues. But what he fundamentally had right was the understanding that you could no longer run a country properly if the elites don’t understand technology in the same way they grasp economics or ideology or propaganda. His analysis and predictions about what would happens if elites couldn’t learn were savage and depressingly accurate. The canon of Chris’s writings and projects embody the idea that what good governance and the good society look like is now inextricably linked to an understanding of the digital. He truly saw how complex and interesting the world was when you understood power as well as networking principles in a way that few have since. * For US readers, this is like having a GPA of 4.0, but achieved across twice as many subjects as you actually need to take. 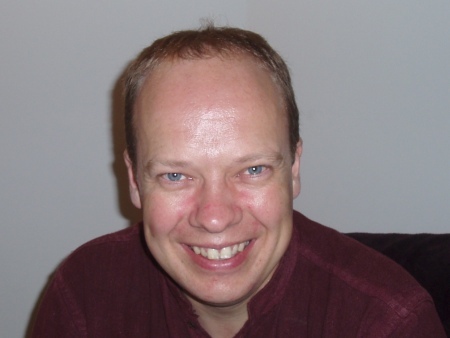 We are very happy to announce that Duncan Parkes has joined mySociety, bringing our team of full time core developers up to four. Duncan is the incredibly prolific author of screen scrapers for the lovely PlanningAlerts.com which he runs with Richard Pope. He also has a PhD in Mathematics, which I expect you’ll want to read all of here, and is an editor of Open Source programming books with APress. During the vetting process he listed one of the passions of his life as being ‘Unit Testing‘, which, combined with his love of postbox crowdsourcing, made picking him more or less a no brainer. In the short run we’ve let him loose, under the tutelage of Francis Irving, on the scaling challenges presented by Mapumental – I can’t wait to see what comes out of it.